Just Reduced. Such a Perfect price for living the Florida lifestyle. Maintenance free newer garden Villa with 2 bedrooms, 2 baths, den or office with french doors and laminate wood flooring plus 2 car garage. 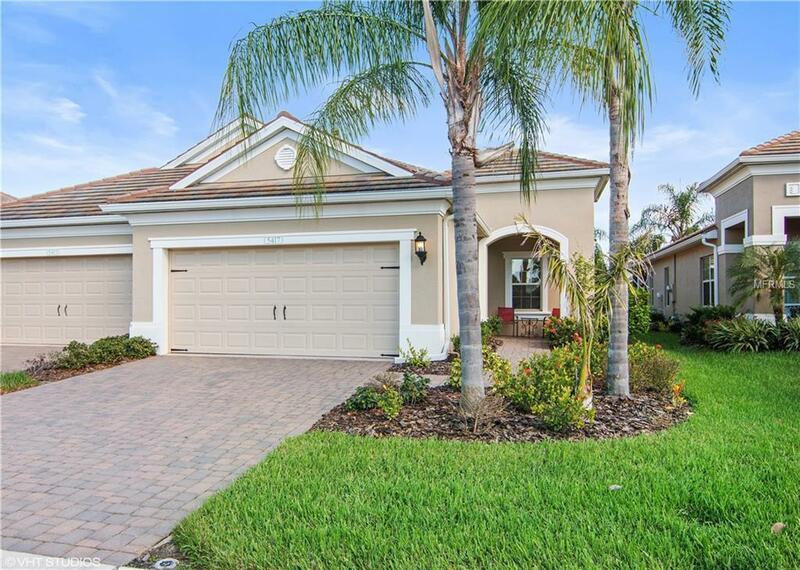 Very low fees for this maintenance free home with community pool & spa, clubroom, fitness room and Gated community. This home is tiled throughout all living areas, laminate wood flooring in den and carpet in bedrooms. Fully applianced including washer and dryer. Master bedroom suite with 2 closets, one is a walk-in closet, and master bath with 2 vanities and roman shower. Garden views from living areas with pocket slider to expanded screened in lanai. Villa located across from community pool, perfect spot to enjoy the sunset views and lake. Gourmet kitchen with newer stainless steel appliances, gas range/oven, granite counters, breakfast bar, tile splash back,upgraded cabinetry. Lots of storage spaces and built in shelving in garage. Fairfield is conveniently located to shopping, Braden River Library, restaurants, beaches, downtown Sarasota, Lakewood Ranch and UTC mall, Jigg's Landing Fish pier on Braden River. No CDD's here.